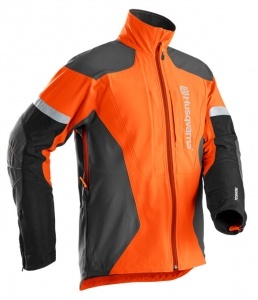 This tight-fitting jacket is perfect for use in everyday forestry work. With tough yet lightweight stretch polyester, pre-bent sleeves and a crafted fit, the Husqvarna Technical Forest Jacket allows you to work in comfort with less effort required. To add further to your operating comfort, ventilation openings are included on the yoke and lower back, while a padded chest pocket and zip sleeve adjustment helps make this a fantastic addition to your arsenal.